Born on 5th February on 1976, Abhishek went to United States to pursue Business Management but dropped out eventually to pursue a career in films. While he may not have several hit films under his belt yet, filmmakers feel Abhishek has immense potential, which still remains untapped. Abhishek Bachchan made his Bollywood debut in J.P. Dutta’s ‘Refugee’ (2000), alongside Kareena Kapoor. Since then, Abhishek has starred in several Bollywood films, including hits such as “Dhoom”, “Guru”, “Yuva”, was also involved with Aamir Khan during the making of “Taare Zameen Par” (based on a dyslexic boy). However, unlike his legendary father Amitabh Bachchan and his more successful wife Aishwarya Rai, Abhishek seems to have given more flops. And it looks like there are several reasons for that. 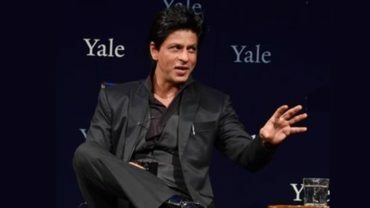 Having fathers like Amitabh Bachchan and Jaya Bachchan did help him get films initially (when he was considered the next big thing in Bollywood), but soon things started moving southwards. Abhishek is no doubt a good actor. He has played some intense roles (Sarkar, Guru) and seems to be ease at playing comedy as well (Happy New Year). But then, during the initial years, even filmmakers would constantly compare him to the legendary Amitabh Bachchan. Abhishek also made some poor choices of films – Shararat, Dhai Akshar Prem Ke, Main Prem Ki Deewani Hoon, Mumbai Se Aaya Mera Dost and others, which saw his career going downhill. After the huge success of Dhoom, filmmakers started offering him films that had multi-star cast, where Abhishek had to play second fiddle to other lead actors. He started doing similar kind of roles, which probably didn’t do good to his career. Bollywood is now witnessing a new wave of films with realistic and mature content that even the audience are accepting. Unfortunately, Abhishek Bachchan didn’t take advantage of this new development in Bollywood. 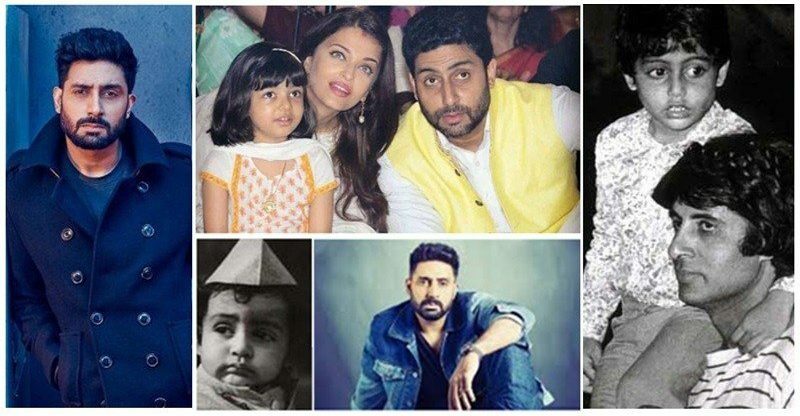 Abhishek slowed down after marriage and is also enjoying his fatherhood, which is not really a bad thing. Not only is Abhishek a doting father, and he also doesn’t mind accompanying his more successful wife for her international events. Abhishek Bachchan is also focusing more on his sports related businesses. Abhishek is the owner of Pro Kabaddi League team Jaipur Pink Panthers, and a co-owner of Indian Super League football team Chennaiyin FC. 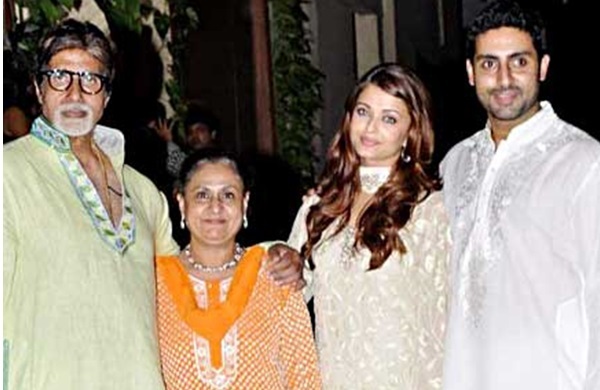 Abhishek himself accepts that others in his family are more accomplished than him. However, he is still young and his career could still take a U-turn; after all there is no doubt that he is a talented actor. Abhishek has also done some good films like Mani Ratnam’s Yuva and the super successful, Guru. He also did Shaad Ali’s Bunti Aur Babli, RGV’s Sarkar, and more recently Anurag Kashyap’s Manmarziyaan (which didn’t do well at the box office but his role was appreciated). In Taare Zammen Par (TZP), Aamir Khan tells students about several successfyl people in life who used to suffer from dyslexia as a child, one of them was Abhishek Bachchan. However, Abhishek never hid the fact from fans or the media. “Bachpan mein isko bhi padhne likhne mein takleef hoti thi. Lekin ab dekho, kya Dhoom macha raha hai!” says Aamir in TZP. Junior Bachchan was diagnosed with dyslexia when he was nine, post which he was sent to an European school. While most celebrities usually ignore sadistic trolls, Abhishek Bachchan knows how to put them in their place. On several occasions, Junior Bachchan has given it back to those who have tried making unpleasant comments about him or his family. Some time back, Abhishek slammed a news portal for suggesting that he and wife Aishwarya fought on their return from Paris. Abhishek, Aishwarya and daughter Aaradhya had just returned to Mumbai after a long vacation. Aishwarya, along with her daughter, had gone to Paris with Aaradhya for her brand endorsements, while Abhishek had gone to Russia for the FIFA World Cup. He reunited with Aishwarya in Paris, and they all came home together from Paris. Here are a few more incidents when Abhishek responded to trolls. In another incident Abhishek lashed out at a user who mentioned Aaradhya, while talking about the actor’s career. Abhishek said, “Don’t like my movies? That’s cool. Will work harder to make movies you like. Bringing my daughter into it is NOT cool,” he had written. However, the woman continued to write, “A yeah the spellingAny thanks for the response . Most people think it but don’t have the guts say something. Maybe u guys should post some pictures of her as normal kid and not one always hanging on her moms arm.” In another tweet, she mentioned, “May a few typing mistakes. I’m not from India so in didn’t know the school are closed. Anyways thanks for u reply.